Brookdale Alamo Heights was nice and the people were very nice. A lot of the residents come up to you there, which was refreshing. The space limitation was one of the limiting factors. We would have chosen that one if we had bigger living quarters. It had air-conditioning units like you see in hotels and motels, which I don't particularly like, because it's noisy and you have to run both of them and that tends to make it noisier. The pricing was not necessarily a limiting factor. There were cards and dominos going on at that time. It was a rather warm day, so people weren't outside. We also went by an activity room where they were doing some arts and crafts, and there were some guys watching football games in one of the lobbies. They all seem to be enjoying themselves. I would recommend them because they have a lot of nice activities and the people seemed extremely friendly there. I visited Brookdale Alamo Heights with a friend, and I really like this facility. The floorplans are open, and the rooms are spacious and clean. There are safety bars in the hallways and in the showers. Also, the staff is attentive to the residents and assist them when needed to assure that the residents are comfortable and secure at all times. This community has a skilled nursing and an assisted living system on site. The dual system can be an asset, especially if a resident in the nursing section improves. I visited the assisted living section, and I noticed that the residents were mostly sitting in the seating areas and talking with one another. The facility is fairly quiet in the evening; although, the environment gets a little busy during lunchtime when most of the residents are down in the dining facilities eating their meal. The food is very good here. During my visit, I had breakfast which consisted of bacon, grits, eggs, and juice. I also noticed that the staff who were assisting during breakfast went to the rooms of a few of the residents who they noticed were missing during breakfast. I asked one of the caregivers if that is a common practice at the facility. She informed me that they make sure the residents eat breakfast, and if they do not see them, they check on them to make sure they are fine. The staff are kind, considerate, and hard-working. There is a moderate size population and only a few staff members here. Still, the staff is attentive, and they seem to know everyone on a first name basis. Moreover, this facility is cleaned throughout the day by housekeeping, and by the caregivers who all seem to work as a team and pick up things off the floor. There was not a lot of liter on the floor, but I did see a few things that had been dropped by a resident and picked up immediately. The amenities include a beauty parlor, exercise, and media room. The activities are slightly above average. There is nothing grand in the variety, but there is a friendly, active director who tries to get the residents to participate as much as possible. Good facility for the nursing services, friendly staff, and competitive price. The best way to get to know a community is by scheduling a tour. See the facilities, meet the staff and residents, and get a feel first hand what it's like to live at Brookdale Alamo Heights Assisted Living. 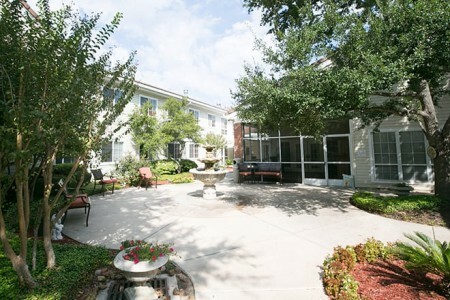 Brookdale Alamo Heights (formerly Emeritus at Lincoln Heights) offers a homelike setting and cheerful smiles from our professional staff who greet you every day. Our caring staff offers the assistance you need while respecting your independence. Brookdale Alamo Heights is proud to be a part of Brookdale. Our communities provide active retirement living for thousands of residents, serving seniors and their families since 1978. Our peaceful setting, restaurant-style dining experience, activities and beautiful surroundings combine to create a wonderful living environment every day. Our genuine, caring staff, home-style meals and daily activities add to our residents' daily experience. They will tell you they appreciate all the options while living at Brookdale Alamo Heights. Our customized care plan offers just the right complement of additional services, from assistance with medication to daily help with bathing, dressing, grooming and ambulation. Our tiered levels of service ensure that you are only paying for the services that you need. The sense of community is all around you when you become part of our family at Brookdale Alamo Heights. Through special events, activities, clubs and on-going cultural enrichment programs, we offer unlimited opportunities for you to get to know other residents and us. Call to set up an appointment for a tour because we delight in showing you our home. At Brookdale Alamo Heights, our family is committed to yours.